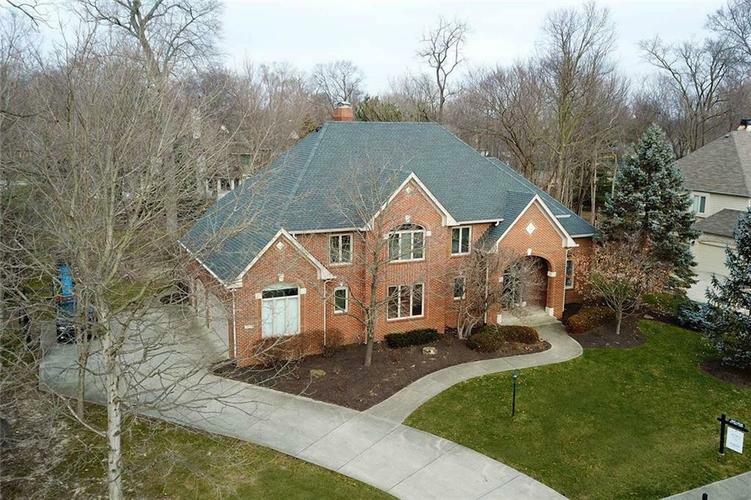 Situated on a mature half acre lot, this stately brick home is a breath of fresh air in prominent Windpointe. Beautiful hardwood floors & 2-story entry welcome you, alongside the rich office & chic living room. Fully updated, white & bright gourmet kitchen opens to cozy family room & formal dining room, offering charm & functionality for every occasion. Master suite boasts sitting area, spa-like bath & giant walk-in closet. Jr. suite & Jack-n-Jill bedrooms are perfect for kids! Finished lower level offers additional living space, complete w/ fireplace, wet bar, 5th bed, full bath & storage. Screened porch & privacy fence provide the perfect setting for entertainment & relaxation. Community pool, tennis, clubhouse & walking path around lake! Directions:North on Gray Rd. from 116th to Windpointe subdivision. Right on Waterstone Way to Windpointe Pass. Right on Windpointe Pass to Windrift Way. Right on Windrift Way to 4874.